British Airways Avios are fantastic for short, direct, economy flights on American Airlines and Alaska Airlines because the number of Avios needed for an award is determined only by the distance and cabin of each flight. One sweet spot with Avios that I’ve noted over and over is that flights from the west coast to Hawaii are 12,500 Avios + $5.60 in taxes each way. From where do American Airlines and Alaska Airlines fly to in Hawaii? How can you book these flights with Avios? How can you get Avios? American and Alaska all fly to the four major Hawaiian islands: Oahu, Maui, Big Island, and Kauai. All of the flights below cost 12,500 Avios one way in economy. Alaska flights in red. American flight in blue and black. Routes in bold are seasonal. All these flights can be searched on aa.com. 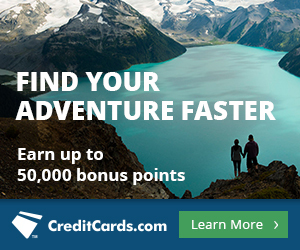 If an Alaska Airlines flight shows up on aa.com, it can be booked with Avios. If an American Airlines flight shows up on aa.com labeled MileSAAver, it can be booked with Avios. If the flight is labeled AAnytime, it cannot be booked with Avios. American Airlines flights can be booked on ba.com. Alaska Airlines flights can only be booked with Avios by calling British Airways at 800-AIRWAYS. Feel free to book your Avios awards to Hawaii speculatively. The cancellation fee for Avios awards is supposed to be $40, but in practice, you are charged $40 OR the taxes you paid on the award, whichever is less. That means you can cancel Avios awards to Hawaii and get back your Avios for only the cost of losing the $5.60 per person per direction in taxes. It’s easy to collect Avios as they transfer 1:1 from three of the four major transferrable point types: American Express Membership Rewards (Membership Rewards just improved the transfer rate recently), Chase Ultimate Rewards, and Starwood Preferred Guest Starpoints. 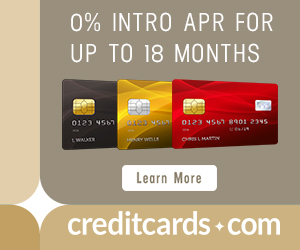 To read more about cards that earn those types of points, check out our Top 10 Travel Credit List. Chase also issues a British Airways Visa that the 5/24 rule doesn’t apply to. You can earn up to a whopping 100k Avios via a tier sign up bonus, but don’t go running to apply just yet. Read the post linked above before doing so as this card is only good for a specific kind of spender/flyer. Redeeming Avios is a cheap and easy way to get to Hawaii. It’s often hard to find premium cabin award space to the islands–learn about it in our serious about who’s got the most to various islands–so transferring a few thousand Avios and sucking it up in economy is often your best bet. Good reminder of the use of Avios. However i cant find a single flight in October thats direct between PHX and any of those cities. Lots of Milesaver awards but all through another city. US Airways isn’t great about releasing award space in general, but I find good success on their Hawaii routes much closer to departure, like the last two months, even the last few weeks or days. We are enjoying Hawaii right now! Jumped on the 40% bonus transfer from Amex to bring 4 of us on a last minute vacation. Southwest points for BWI to LAX + Avios for LAX to LIH + Travelzoo voucher and Marriott points = very cheap 10 days on Kauai. Fantastic! I haven’t been to Kauai in several years, and I would love to spend a cheap 10 days there! I thought American has direct flights for DFW-Hawaii. They do, but they are not 12,500 Avios because they are too long. FYI BA actually raised their cancellation fee to $55 now. Oops. Luckily it’s still the fee OR the taxes you paid, whichever is LESS. So the effective cancellation fees on these awards is still $5.60 per person per direction. If an AA Exec Plat books economy on AA or US metal with Avios, are they eligible for a free upgrade? Thank you for the simple to understand instructions on how to use Avios. I have been frustrated trying to figure out how to use them and was just looking at the possibility of using them on a Hawaii roundtrip. Your article couldn’t have been more perfect for me. I am looking to fly from LAX to Hawaii with my avios points (and booking a flight with American Airlines). Usually the cost of flights fluctuate depending on high/low season. If I am understanding this correctly, flights from the West Coast to Hawaii is 12,500 Avios + $5.60 in taxes each way, regardless of the time of the year? How far in advance should I book to have the best possibility that there are still good reward seats available? Thank you in advance. I wouldn’t say “usually.” The price of AA awards to Hawaii fluctuates based on season, but that is actually UNUSUAL in the miles world. You do understand Avios correctly though. Any time AA releases MileSAAver award space, Avios can book LAX to Hawaii for 12,500 Avios one way. You should search whenever you know your dates for the trip. That gives you the best opportunity to score space. Thank you for the quick reply. 12500 Avios one way seems to be the price for the Economy MilesAAver seat. How many Avios points would it cost to book a Business/First Class MilesAAver seat? I might have to push my travel until June and most awards seats that are available are Business/First Class MilesAAver seats. When I spoke with an Avios rep he told me that those are also 12500 Avios one way – but perhaps he was mistaken? Answered in the post. Give it a good re-read! Hi Scott- I have an upcoming flight in coach this summer from LIH to LAX on AA using Avios. Even though I redeemed Avios for my economy ticket, can I pay to upgrade to first class? Probably not, but maybe at check in AA will give you the option. Thanks! Is it worth redeeming Avios to upgrade to First? I have a redeye. Only you know how much you’d value the more comfortable flight and the extra miles. Only you can answer. I am on the AA website and looking at the month of December for the MileSAAver awards from LA to Maui, the lowest miles shown is 20k each way. I don’t understand how you are finding 12,500 Avios miles? Sorry, meant to write that I am only seeing 20k each way, not roundtrip. That’s because the 12,500 price is offered on ba.com as I hope the article makes clear. We found multiple results for the mileage you searched. Results may include a different class of service. * Valid for Business/First on flights with two classes of service where applicable and Business class on all other flights. I find AAsaver awards on aa.com and can book them, but when I search for the same flight on ba.com to use Avios points none of the flights come up. Am I missing something? do I need to call? Try clicking the tabs for different days and then click back… if that doesn’t work, try the search repeatedly. These methods are working for most to display the award space. It doesn’t work. It looks like AA stop releasing award space to BA. I tried 20 different days in December (Boston to Miami or Miami to Boston and Boston to Los Angeles). I have 250,000 Avios and they are pretty much useless. Years ago I was able to book non-stop flights Boston to LA and back all the time. Have you tried calling British Airways to book over the phone? I called BA and the agent didn’t see any availability.